This wiki page is part of the documentation for the Egg-Bot kit. Click here to return to the Egg-Bot overview. Intro: This tutorial is a graphics-heavy, beginner-level introduction to creating a simple (and somewhat silly) drawing in Inkscape for use with the Eggbot. 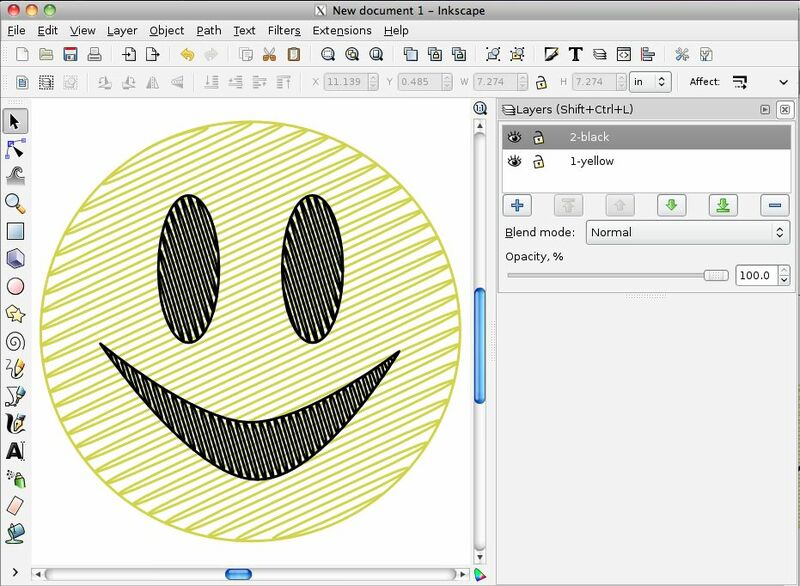 While this guide is not intended as a comprehensive introduction to Inkscape, it may be enough to get you started, particularly if you've had experience with other vector graphics applications. This tutorial assumes that you have already installed Inkscape and the Eggbot extensions on your computer. In what follows, we'll be drawing a silly happy face like the one shown below this paragraph. To get started, head right over to Part 1 of the tutorial. To get started, head right over to Part 1 of the tutorial. This page was last modified on 23 December 2010, at 23:15.